The official mascots for most major football tournaments these days seem to either promote or admonish the use of powerful psychedelic drugs. Take the latest abomination, France's weird grinning character for Euro 2016. With his tussled hair, maniacal grin, and vacant stare he looks nightmarish enough for the kiddies. But the hosts took it a step further with an attempt to cash in on the superhero pop culture craze by giving this character white pants, as well as his white boots and gloves, and topped it all off with a cape. 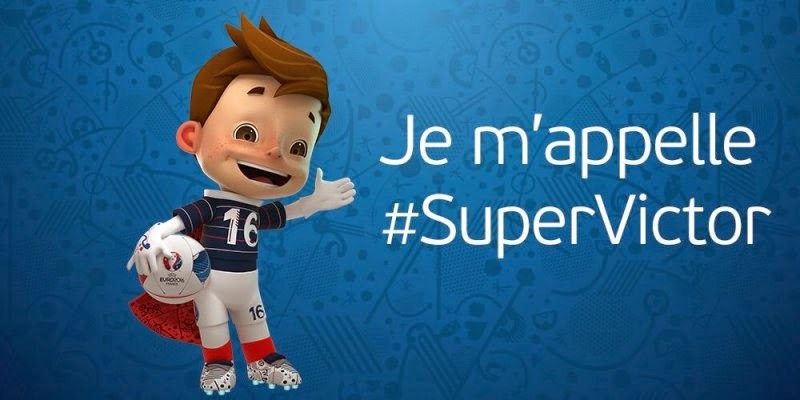 As if this shoddy design was not weird enough, a naming contest has now landed the mascot of Euro 2016 with the moniker of 'Super Victor'. Because he's 'Super', on account of the cape that has strange and possibly satanic symbols on it, and 'Victor' because that means winner or its short for victory I guess. It all adds up to a pretty dodgy mascot with a dopey name and again makes me wonder why I didn't try my hand at graphic design back in the day, as I couldn't have done worse than some of these recent efforts by football tournament host countries. 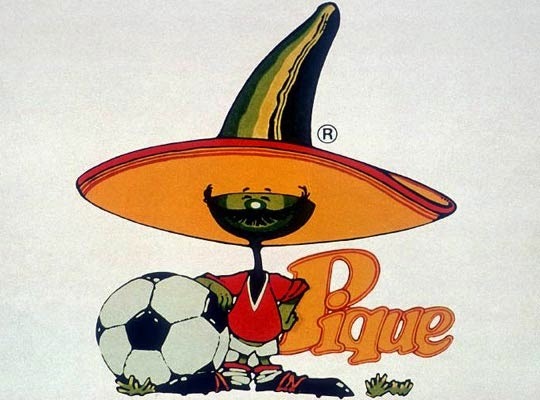 Whatever happened to quality mascots, like the vaguely racisss Pique?